Can’t think of a better way to spend my own wedding anniversary weekend than by helping another couple begin their marriage! 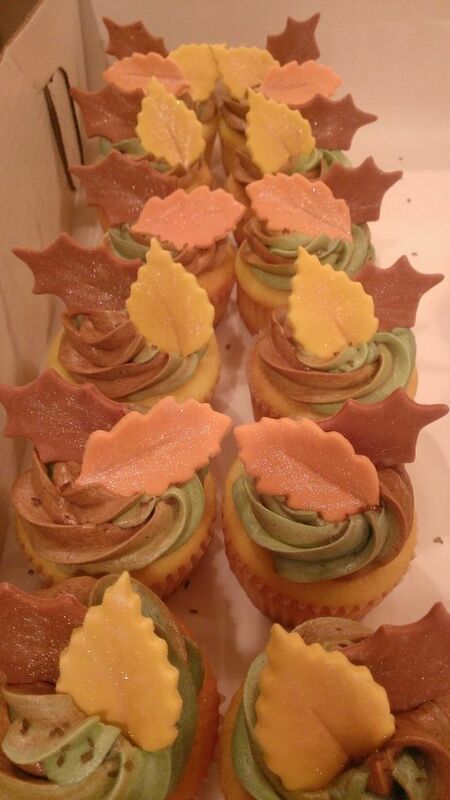 A few fondant leaves and some camo butter cream complete each cupcake. 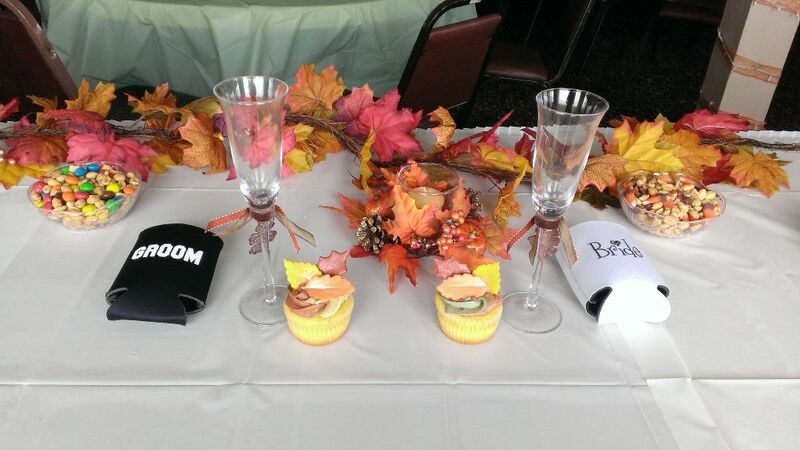 The cupcakes fit right in!